Product prices and availability are accurate as of 2019-04-25 16:38:25 UTC and are subject to change. Any price and availability information displayed on http://www.amazon.com/ at the time of purchase will apply to the purchase of this product. 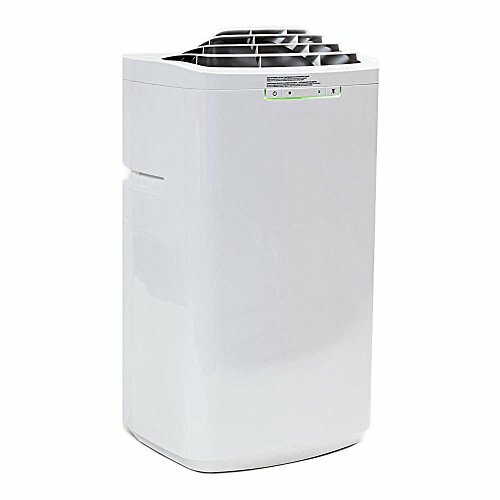 This GREEN portable air conditioner is extremely mobile and can be easily setup in almost any indoor location and are most commonly used in computer / server rooms, bedrooms, classrooms and garages / workshops. 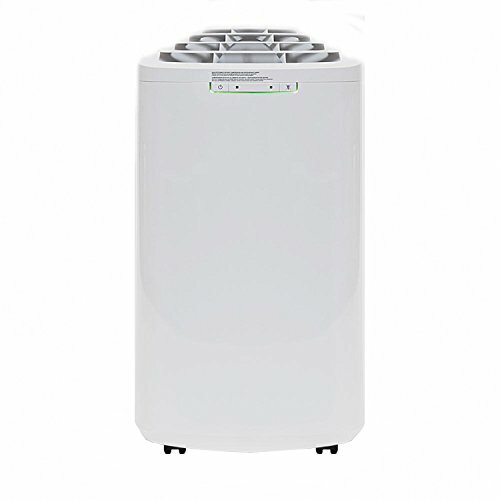 This Whynter GREEN ARC-110WD portable air conditioner features the ECO-FRIENDLY CFC free GREEN R-410A refrigerant and lead free RoHS compliant components. 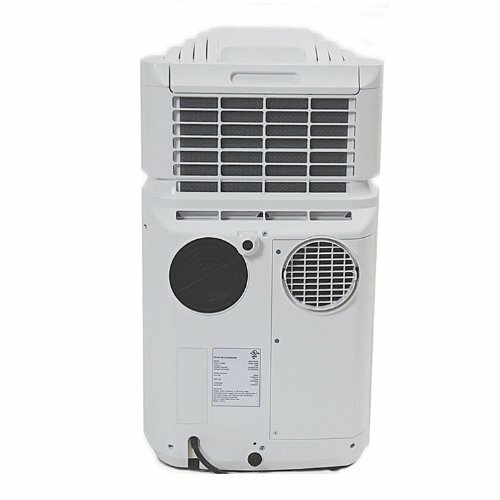 The leading attribute of this model is its compact size and dual hose system which facilitates greater space utilization and more efficient cooling. 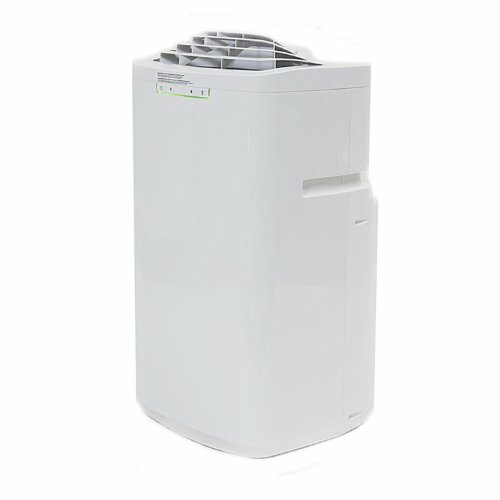 With 11,000 BTU of cooling power, the Whynter ARC-110WD is an ideal solution for the warm spots in your home or office. Portable and easy to set up, this is one of the few portable air conditioners that offers cooling relief for any area where excess humidity and heat cannot be remedied by traditional air conditioning. 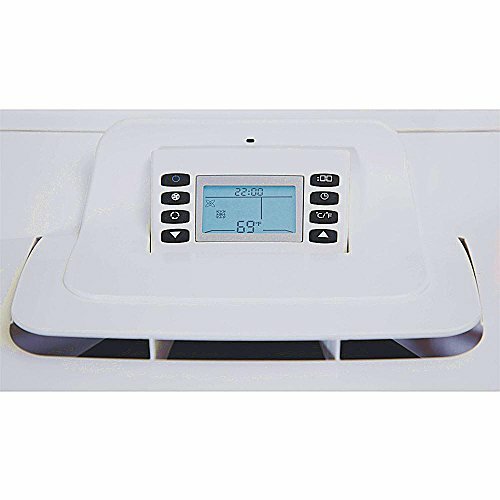 Self evaporating design exhausts most or all condensate automatically in most environments Four operational modes: Air conditioner, Fan, Dehumidifier, Automatic mode Digital and remote control with full thermostatic control (61°F - 89°F), 24 hour programmable timer and 4 fan speeds LCDI (Leakage-Current Detection and Interruption) plug Extendable exhaust hose (up to 47") and upgraded plastic window kit included. Max. window kit length = 47" , Min. window kit length = 20"